I have come across this issue in my project: in short, from what I've gathered, is that the PHP script called via AJAX is not properly registering SESSION variables that were set at the top of the index.php page. At first, I assumed that it was due to session locking, so I went ahead and added session_write_close(), however, that didn't fix the issue. This issue only occurs about 25% percent of the time after a new user session begins (ie: when a user logs in). I went ahead and deleted 90% of the code to get the bug down to its bare minimum coding necessary to reproduce. Note: Both results show the return of index's print_r($_SESSION) as Array ( [userid] => 3724 [trialstatus] => 1 [trialtcompletions] => 0 [userlevel] => 5 ) which lets me know the issue isn't with the session being set on the index page. Does anyone know a fix (perhaps not even code-wise, maybe even a server setting) that will properly allow the script called via AJAX to access the Session variable correctly? Load page (max 2 times). Issue never occurs after 2 reloads. If bad result isn't shown, repeat steps. "You must be logged in to view report data." Two things can cause this issue. You don't have enough space in session save path (df -h) or you server don't have permission to save it. Your server is behind a load balancer, and you must save sessions in a persistent backend like memcache or redis. Another option is to write your own session handler that puts sessions into your database. You could then use something like memcached to store the sessions in a way that you won't hammer your DB every time you read your session data. The screenshot I have attached is same for almost all 25-30 runs I have run. : http://i.stack.imgur.com/MgLpS.jpg Check your session data size maybe it's exceeding the cache size. or some other session data is being stored exhausting your cache memory. Increase your cache size maybe it will help for your scenario. Not the answer you're looking for? Browse other questions tagged php ajax session session-variables or ask your own question. 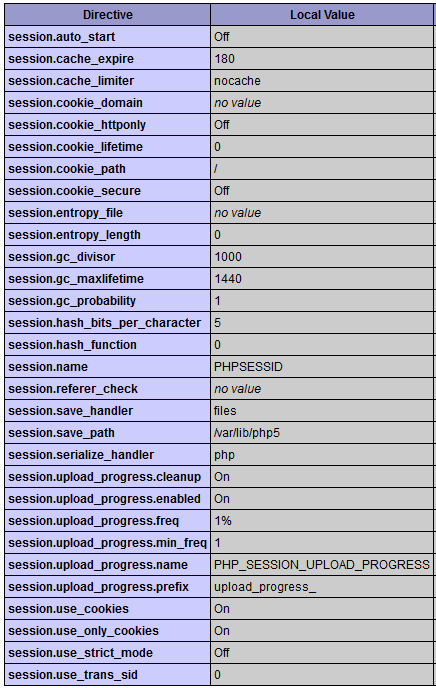 Why not storage PHP SESSION on a NFS Volume? why is this ajax call not reading my internal php? php - The SESSION array variable i set with ajax is not getting saved? 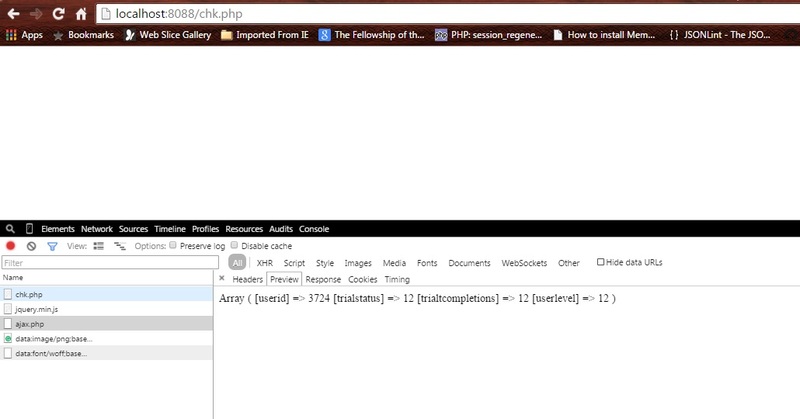 Calling php script with Ajax results in internal server error, refresh works? Will a PHP $_SESSION make it through an AJAX call? How can I attach the POST variable values to a new SESSION variable in AJAX and call it from other script?